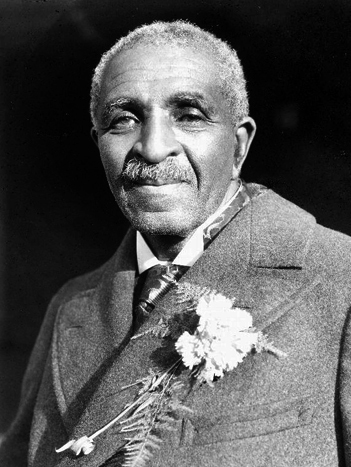 George Washington Carver was an agricultural chemist. Born into slavery, he helped revolutionize the South’s economy by liberating it from dependence on cotton as its sole crop. During his forty-seven years at Tuskegee Institute, where he headed the Department of Agricultural Research, Dr. Carver developed more than three hundred products from peanuts. His experiments also led to the development of multiple uses for soybeans and other indigenous, but previously unutilized, crops. He helped southern farmers improve their lot by inaugurating farm demonstration programs. Dr. Carver was a member of the Royal Society of Arts, London.